Velvette box much like the Birchbox company abroad delivers 3 beauty product samples every month for a price of INR 399 to your doorstep. The 3 product samples that are chosen depend on your preferences and your skin type. Thus, it is like a surprise package that comes to your house where you don't know the contents but it is definitely exciting as you know you are going to receive some lovely products from very well known companies that you may have never tried earlier, may have not even seen those products. So will I subscribe for the Velvette box again? Yes definitely although, not immediately as I have ordered lots of products from Sephora USA (my dad is going there) and I am really excited about trying them out. So maybe after a couple of months. Shall review these products individually soon. Kiehl's Midnight Recovery Concentrate - Is it really a magic potion? Its funny how these beauty companies will not let us stay in peace. Don't understand? Ill elaborate and I am sure you will agree with me. Just when we were all getting used to using sunscreens and day moisturizers they introduce us to BB creams, just when we learnt how to apply the perfect base they go ahead and launch primers to make it more complicated for us, just when we thought shampoo + conditioner + serum is the perfect answer to hair problems they tell us that we are missing out on hair masks. And just when we got started using night creams as the ultimate solution to ageing they launch oils and serums that are supposed to be more effective. Now don't you agree with me? If a girl starts using all of these products then all she'll end up doing the whole day is stand in front of the mirror and apply products to her skin and hair. One such product that I came across recently is Kiehl's Midnight Recovery Concentrate which is a lavendar oil based product that is supposed to be like a "magic potion" and make your skin better, younger, smoother and more beautiful. After following their much advertised Facebook campaign me and my friends got convinced enough to atleast try out a sample if not buy the product. (Yes they are pretty generous with samples). So the SA was kind enough to give me a sample of this replenishing oil alongwith it's under eye cream version. Since I got the sample version I will not be able to comment on the packaging of the actual bottle nor the ingredients as they were not mentioned on the sample. The sample packaging was a cute plastic one in the shape of a bottle. The product which is made up of essential oils is an oil itself. Clear and lightweight are 2 words that come to my mind (you'll have to try hard to see the oil on my palm in the above pic). The SA advised me to take only 2 drops every night on my palm inhale the oil so as to calm my senses before sleeping and then apply it. Although the sample is just of 2ml but it lasted me for more than a week! Just 2 teeny weeny drops are enough to apply it all over your face. I followed this ritual every night for 9 nights in a row till the sample lasted. The oil feels a little greasy on application but will get soaked in quite easily. So did it magically transform my skin? I find it difficult to comment on how well it did cos honestly I don't how long is one suppose to use it to actually check for any effects. But yes, my face did look fresher every morning rather than groggy or puffy. And don't if it was the winter glow but it did make my face radiant for the few days that i used it. Will I actually buy the product? I would have, had it not costed me a bomb. This is the year. Its a year of big deal to me. This is the year that marks a milestone in my life. This is the year of course it is the year, I turn thirty. I was watching the Friends episode where Rachel turns 30 and she's feeling so sick about it that she doesn't want to face it. Yes that's exactly how I feel. You know after this year, I cannot call myself a twenty something. I cannot read articles on quarter life crisis. I'm no longer in that stage of my life. 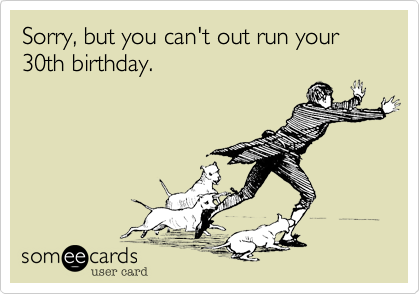 I'm gonna be 30 (boo hoo). Wow I'm gonna grow old. I'll have to start thinking about planning my family, anti ageing, marriage (oh no! Thank god that is done) and retirement plans (may be not as yet but soon!). 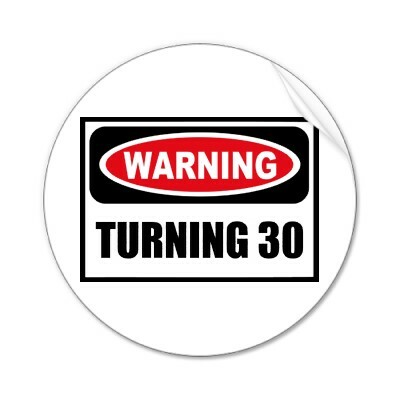 There is something about turning thirty that is scary. That makes one want to delay it, avoid it and then not face it. And no it's nothing to do with ageing. It's nothing to do with how people look at you (hmm maybe some of it is!) but its mostly because of your own pressures and expectations from life. So many times have we given deadlines like before 21 bucket list, before 25 bucket list, before 30. Like you know get a great job, (which I have but not too happy with my designation you see. But still a lot of people I know want to be in my shoes. So yay!) Buy a car with my own money (don't think that's happening soon) or see 2 countries a year. God!! Can I not just for once delay this?? Anyways I still have a good 10 months to face it. Hope things change till then and I am brave enough to face it. Is it just me or you have the same problems too? Let me know how you faced them. Some advise would surely help. I know most you must have already seen the movie but I had started writing this post and then just left it mid way because I felt lazy. So thought I should complete it and post it anyways.Better late than never right? Since, the story is the hero here, all the characters get almost the same footage. Neeraj Pandey (the director) has been aptly able to extract good performances from each every member of his cast. Akshay Kumar in a serious role is like a fresh breath of air. Manoj Bajpai looks and enacts his part to the tee. Anupam Kher is his dependable self. Jimmy Shergill, Divya Dutta and Kaajal Aggarwal ably support them. Nothing note worthy here infact heard that Akshay Kumar has sung one song. But didn't realise it while watching the movie. There are a certain things that I felt were lacking. For example there is no build up to how Akshay Kumar and Anupam Kher build this gang and meet the rest of the characters in this gang. Also, the reason given for Akshay Kumar to start these crimes is a little frivolous. But overall the film is good watch with a great story and maintains a racy pace throughout, except for the romance scenes between Akshay and Kajaal (Yes, a lot of people felt that this track was not needed at all, but I feel it was needed to provide a background to Akshay's character, however the 2 songs could easily be cut from the movie). Do watch it for some good acting skills, direction and the fun thrills that the chase between the police and thieves gives. You must must watch this one. 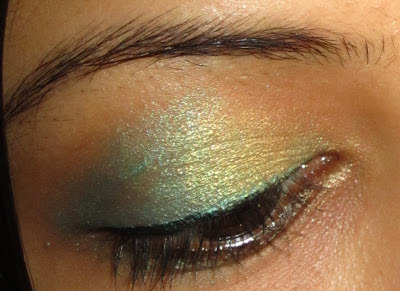 love makeup.I love reading about makeup and makeup trends. I love collecting makeup too. Do I love wearing it? Yes! 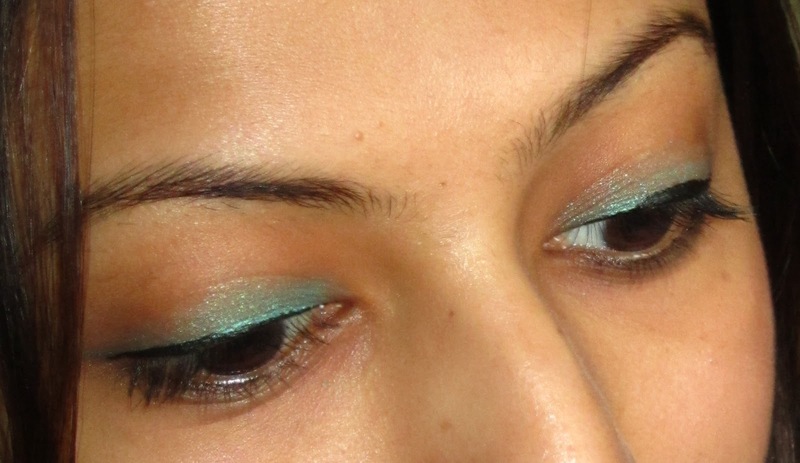 I love how I can add some spark to my face with a lipshade or a coloured eyeliner. But do I actually wear it? Err. Hmm. Not really.. Why? Cos I feel shy. I feel what if people start think, "what was she thinking? who wears makeup to office" or "why is she wearing makeup for a movie"? I love putting it on for weddings and parties. But besides that I don't really wear anything besides kaajal and a lip balm/gloss anywhere else. But this means I can't buy more till I'm done with what I have I mean what's the point of just hoarding on things. So I've decided to try and find ways in which I can utilise the hoards of makeup that I have. I have the Maybelline Color Tatoo eyeshadow in Edgy Emerald that I bought some two months ago. Now the pigment is really strong and the colour quite dramatic making it not a very "everyday" product. So I thought of different ways in which I can wear it to utilise it better. Wear this look for a formal dinner date or when you dancing to give your eyes the right amount of pop! What do you'll think of these looks? have you'll used the color tattoos before? Do let me know how did you wear them. When I first heard the word Zumba I thought it must be some Latino american dance form I guess I mistook it for Rumba. Then I googled it. I guess I wasn't completely wrong. Wikipedia describes it as "Zumba Fitness or the Zumba Program is a Colombian dance fitness program created by dancer and choreographer Alberto "Beto" Perez during the 1990s." But after reading this I got even more confused what does a dance fitness program mean and then there were a lot of sites talking about Zumba fitness party etc which did nothing but add to my confusion. Although,all the while I knew it is some kind of a workout. I was still intrigued. All the hype, buzz and the mystique around it really helped me in making up my mind and I decided to try it out. Luckily for me I discovered that a studio very close my house conducts Zumba classes. Immediately, I enrolled for the trial class and enjoyed it so much that I enrolled and paid up for the next 3 months. Today I've finished those 3 months and think will continue for a longer period.I used to feel so exhausted in the beginning now I think I can go on working for an hour easily without panting that much. Those of you still seeking the meaning, here goes my version of what Zumba is "It is nothing but choreographed dance steps that involve high energy (very jumpy) almost similar to Aerobics thus, making it an effective workout routine." The video below from Youtube will help you understand more. Since, it is more about dance the entire atmosphere is so lively and bubbbling with energy. We usually do Zumba on all the latest new age clubbing songs and thus, one gets to workout and also enjoy the music. At the end of the class I feel refreshed and full of positive energy. And the best thing about it is that the steps are so simple almost like exercise that any non dancer can also do it easily. Infact, even if you miss a turn you can easily pick up by just following others. And yes the most important thing - since it is an hour long only cardio workout it helps in losing those inches too! So what do you think about Zumba? What's your favourite workout? What do you love dancing to? You know how there are certain things in life that make you wonder how fast time flies. I just didn't realize how quickly a year of my marriage passed by. But then when I think about it again it feels like I've been staying with my husband since forever. Weird! So to celebrate our first wedding anniversary we wanted to take a short trip. A weekend trip actually not very far from Mumbai as we were both a little short on our leaves. I've always wanted to go to Sula Vineyards as I love wines. And Sula is the only full fledged vineyard we have in India that also has an accompanying resort stay facility. So what better ocassion to go there than our wedding anniversary. It just a 4 hour drive away from Mumbai a few kms away from Nashik. The earlier one leaves the better to avoid the 11 am traffic on the highways. The resort had provided with the map so finding the place was not difficult. We hired an Indigo with a driver through MakemyTrip for INR 4400 for 2 days return trip. "Beyond" is Sula's in house resort. It is just 3 kms away from the Vineyard. This 29 room resort is contemporary and luxurious. Has a pool, spa, gym and a cafe/restaurant. They also have a 3 bedroom villa with a private pool for people travelling in groups. Since, it was a special occasion we booked their best room i.e. the Luxury Suite (INR 10500++ per night;weekend charges). The price includes breakfast and a complimentary vinery tour and wine tasting session. Our room did live upto it's name, there was a separate living room with a huge sitout that faced the lake and the swimming pool. The interiors were minimal, modern and elegant. The bathroom had a nice tub with some amazing toiletries from Nature's Co. Since, we were there only for the weekend almost just a day, we couldn't really do much except for plunge in the pool, and the complimentary wine tasting session that the resort offered. We were also planning for a spa visit to relax our sore muscles from the hard week's work. But they were fully booked for that day. We also used their gym the next day morning. Thus, there were enough things for us to be occupied for the day. The wine tasting session was brief and something that is meant for novices. If you know your dessert from the red wine than this session is not meant for you. Since it is a stand alone resort all the activities are restricted to vineyards or the resort. The resort provides for cycles for people who want to go to the winery on cycle or just ride around for a little bit. One can also enjoy the cool weather n the evening by going for a walk to the lake nearby. The breakfast spread was good. It wasn't a large spread but had most of the regular items like live omlette counter, parathas, some south indian fare, tea, coffee, juices, fruits etc. For the rest of the meals, they have three options Cafe Rose which is within the resort and Little Italy and Soma (North Indian fare) that are at the vineyards. We had one meal each at all the 3 restaurants and liked the food at Cafe Rose the best. The meals were not more than Rs 500 per person. Since the wines are produced in house they are very reasonably priced. We even shopped for 4 bottles and the total price we paid was only INR 1600. A lot of people only do day trips to the vineyards as the stay is on the costlier side which is also a good option when one is just looking forward to checking out the vineyards, enjoy some wine the nature and save up on the cost. As I mentioned earlier, this is not a place for a full fledged vacation, not even a place meant for a lot of activities. Choose this place only if you are looking out for a nice relaxed weekend getaway. We felt we could've easily stayed for a day more to make our trip more relaxed as we had to travel for 4-5 hours on each of the days. The resort is a good option when you are in the mood to celebrate something special or just splurge some money and pamper yourself.